She continues to live on the West Side of the city and has been happily married to her husband Jim since 1999. Professionally, she is the Purchasing and Security Manager with WorkSafeNB. I recognized that I needed to push myself more, so I would chose a focal point like a certain tree and run to it and then walk again and gradually added more running intervals. Quickly, I was able to run for a sustained duration and distance and I will never forget the morning running girls told me that I was now going to join them regularly and run the park. For the Saint Johner who left the city for more than a decade before returning to the land that she loves, MBTS represents much more than all that. Merrifield, well known in the city for her outstanding photography, started running seven years ago when she lived in Chicago, looking to compete her first 42.2 km race – The Chicago Marathon. As part of her training that year, she ran the half marathon at Marathon By The Sea, her first ever race and she’s been a regular every year but one since then. Next month, despite dealing with a hip injury, she plans on tackling the 10-plus kilometre event on Aug. 13. “I am the poster child for ‘anyone can do this’,” Brittany says. 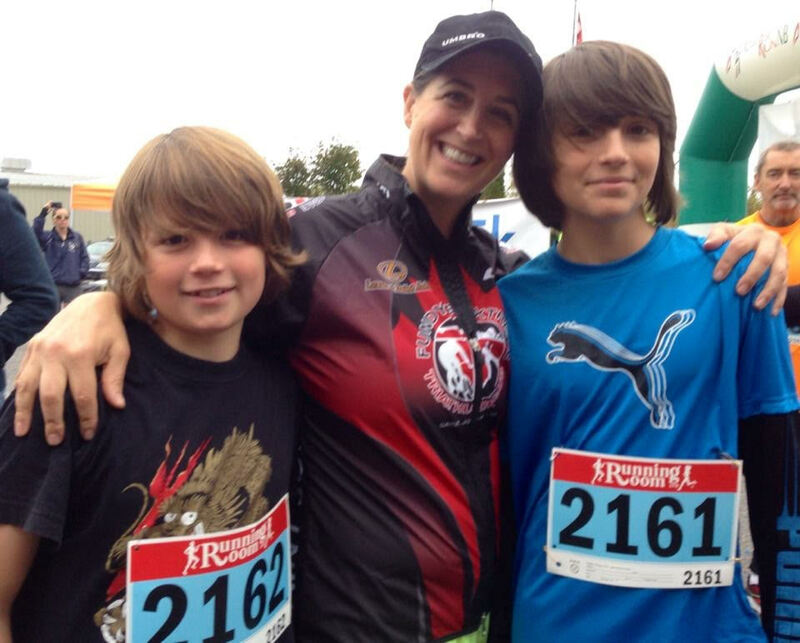 “I am a single mom with four kids and I am not genetically blessed to be a runner or particularly amazing. It proves that MBTS is such an accessible event. I can do it with all the barriers I have, so anyone can do this. 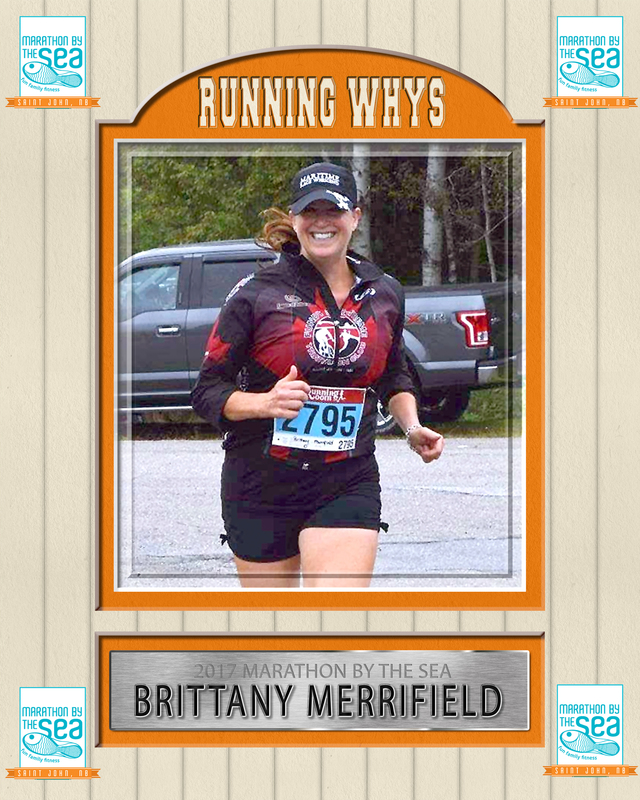 Running was never a big part of Britany’s life but in 2010, after discussions with friends, she decided to register for a marathon to celebrate turning 40 years old. Daunting as the Chicago Marathon may have seemed, it was a perfect setting to get back into shape after the birth of her fourth child. “Running is like therapy,” she said. “Being a single mother of four kids, who is running her own business, you need something to do for yourself. When you go out for a run, it is like therapy. As she advanced, she says her kids would encourage her to get out – in unique fashion. Given her responsibilities, she would run on her own in the beginning– but it was part of a family jaunt to the area park, so she was never truly alone. “Because I had all these little kids. I would put my two youngest in a jogging stroller and the two oldest would be on their bikes. 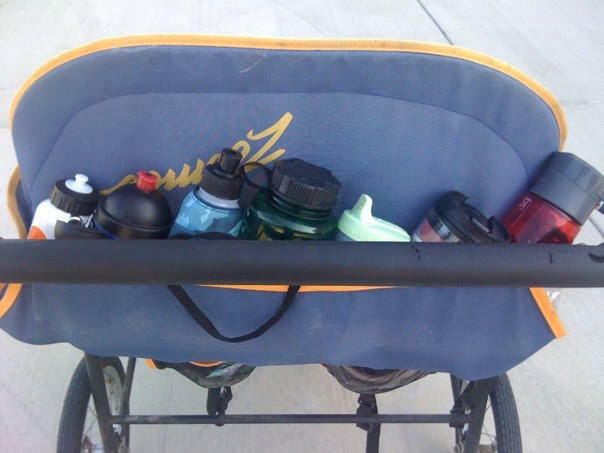 I have pictures of the stroller with 10 water bottles lined up. There were looped trails in the neighbourhood she lived, so she could add manageable distances when she felt it was time to tackle more. Brittany moved to Saint John when she was in Grade 4, eventually graduated Saint John High School, studied at McGill University and then finished her degree at UNB Saint John. After that, she lived in the United States, including stops in suburban Dallas, Houston and of course, Chicago. “I am really happy to be back here in Saint John, because I can’t imagine a better place to raise the kids,” she said. Since her first running steps, she’s competed the Chicago Marathon once and the New York Marathon twice, all distinctive events for various reasons. “They are all pretty memorable,” she explains. “Chicago, because it was my first; New York in 2014 was memorable because I crossed my finish line with my friend Jocelynn (Cook). It took us a really long time because she had a significant knee injury and we were out there until it was dark but we crossed the finish line together. We had this amazing bonding experience. It all leads to the upcoming Marathon By The Sea, which takes Brittany back to the place of her first ever race – MBTS in 2010. “I had never suited up with a bib before in my life,” she recalls. “We were training (for Chicago) and MBTS was right around the time when we had to do a 20 or 23 km run anyway. I decided to give it a try and ran with one of my friends Jill. 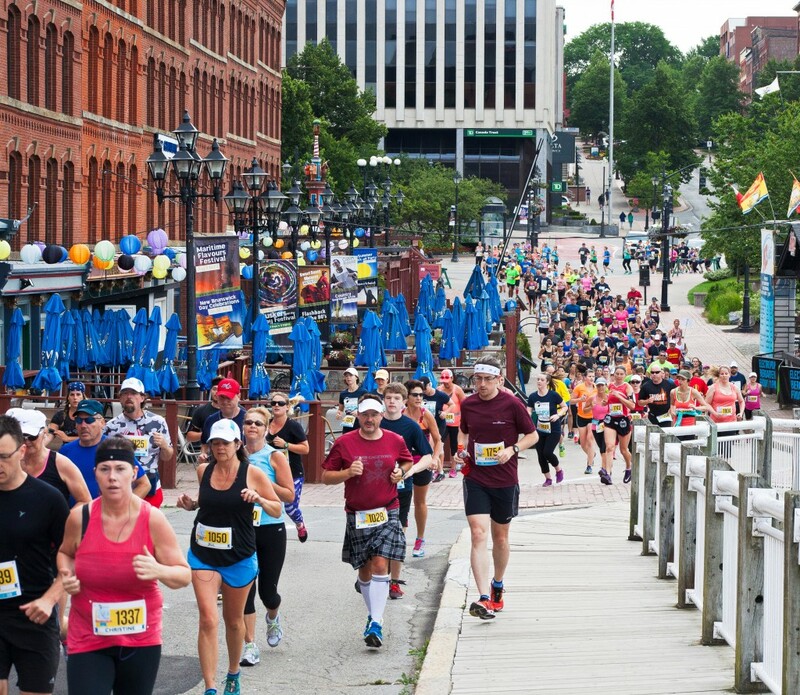 The Emera Marathon By the Sea weekend in August 11-13 in Saint John. You can register here. As Father’s Day approaches, many thoughts this weekend are with family. For Johanne, it’s a tough time as she thinks of her dad – Fernand – who died in January of 2016 after a 13-month battle with pancreatic cancer. In the days and weeks after his passing, it was suggested she try some form of physical activity to assist during the extremely difficult grieving period. It was then she discovered running, which has provided her with many gifts, including therapy and some peace of mind. 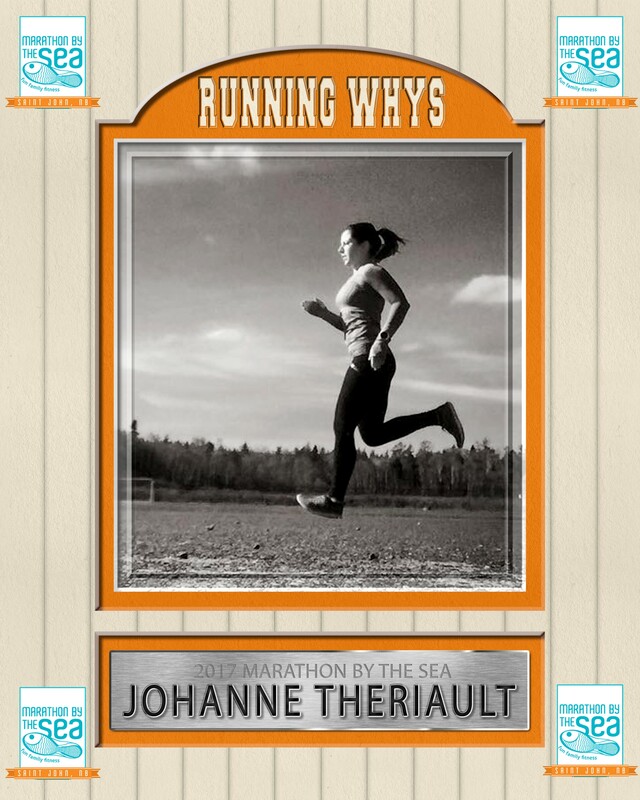 Johanne now has a collection of half marathons on her running resume – events in Fredericton, Moncton, Edmundston and Miramichi and last August, she completed her first 42.2 km race at the Emera Marathon By The Sea. She wonders what she would have done without that physical outlet to channel her father’s death. Johanne remembers vividly that Boxing Day in 2014 when she got the news something was wrong. Fernand woke up that morning with a stomach pain and decided to go get it checked, because he thought he had a flu bug or something reasonably minor. Instead, the diagnosis was stunning – Stage 4 pancreatic cancer. He was given several months to live, if he was lucky. At the time, she was a newly-separated, single mom of two little girls, working as a Crown Prosecutor. She also bought a new home. Life was so busy. Fernand even paid her a house-warming visit when he was well enough. She admits feeling guilty in that she was caring for her girls, working a demanding job but desperately wanting to give even more time to support her ailing Dad. “The day my dad visited, he arrived as a very skinny old man with no hair,” she explained. “That was one of the hardest days for sure. During that visit, he sat in my living room watching the Baie-des-Chaleurs and he promised me to come back. 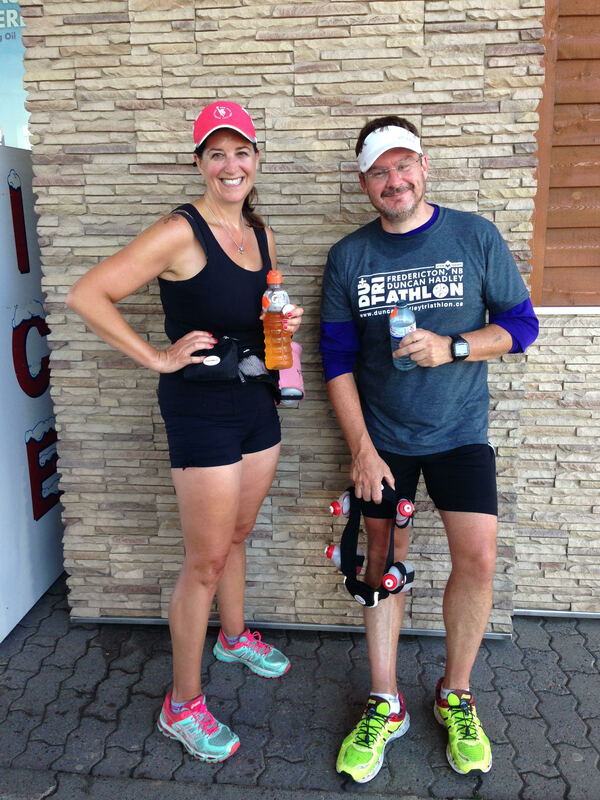 After Fernand’s funeral services ended and the tough weeks that followed had passed, Johanne embraced the notion of running more to help her state of mind. 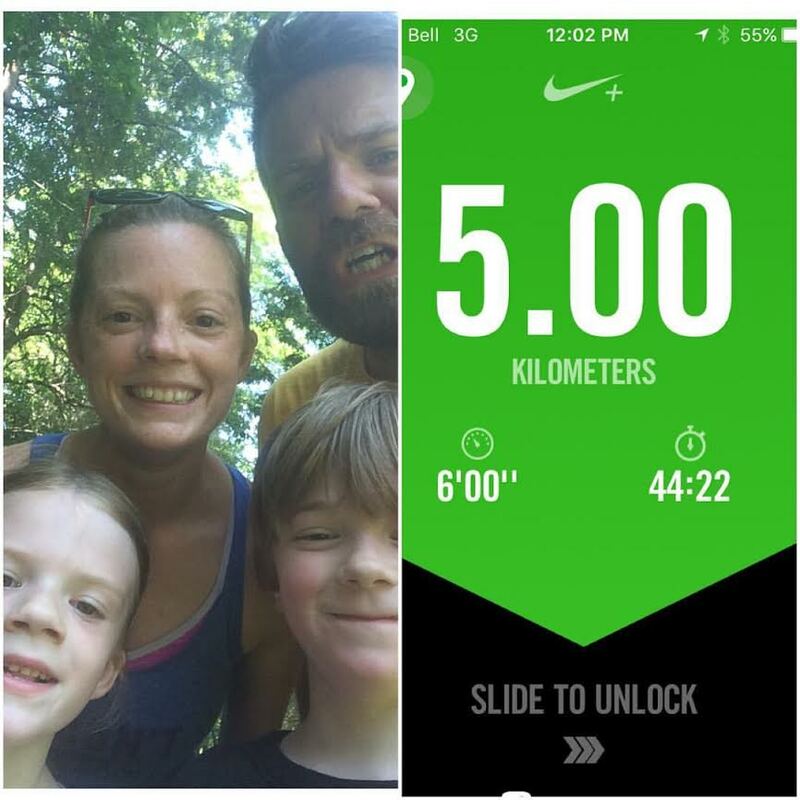 She trained hard, gained confidence and eventually registered for her half marathon in Fredericton in May of 2016. 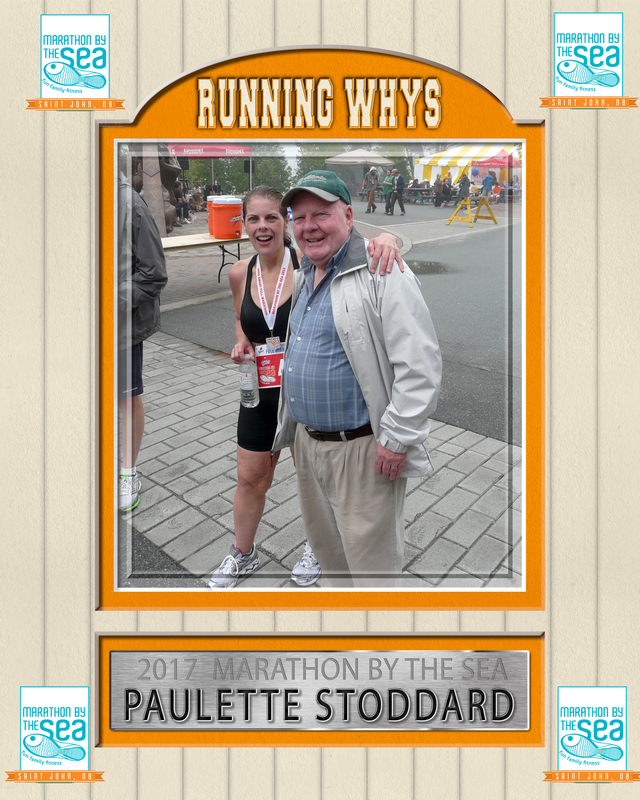 She’s also competed in half marathons in Edmundston and Moncton as well as other events in varying distances around the province. 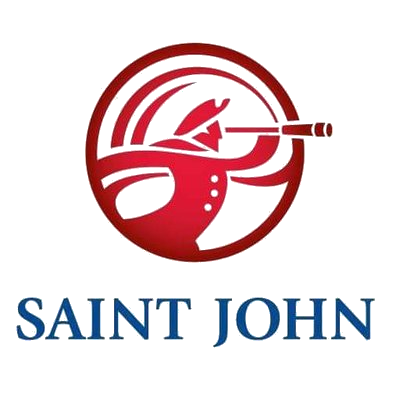 This year at MBTS, Johanne will run the Port of City Challenge – the Into the Night 5km, on Friday, Aug 11, the Middleton and Associates Harbour Passage 5 km on Saturday, Aug. 12 and the Emera Marathon By the Sea on Sunday, Aug. 13. It is another weekend on a busy slate of events that will also include events in the RunNB SuperSeries as well as participation in the Berlin Marathon in September and the Chicago Marathon in October. Those larger races are part of her plan to run each of the six Abbott World Marathon Majors before she turning 40. At 34, she will be off to a great start if she is successful in 2017. And it a good bet that she will share the memory of Fernand in every one of them. 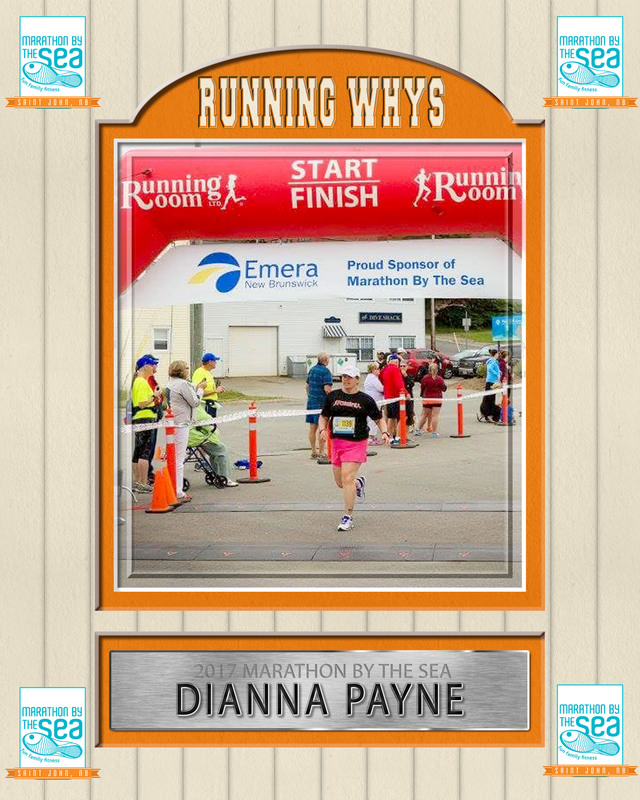 But for Dianna, her love for running goes beyond the fitness benefits she gains. It is about her social network, which plays a critical role in how the sport has grown into such an important part of her life. Since beginning in 2007, she has raced in every MBTS, other than 2012, and while training can be tough, she’s always enjoyed the race itself. Please read previous Running Whys stories on Brian and Katie Molloy and Blair Bass. Dianna, born and raised in Saint John, works as a security officer at Irving Pulp & Paper. Her initial running motivation came as she wanted to get in shape when she was thinking about applying to become an RCMP officer, knowing she needed to prepare for the tough fitness tests. She learned about training sessions at the GoodLife Gym’s location at the Rothesay Ave Superstore, signed up for a learn-to-run clinic, and got going with a one-minute run, one-minute walk program. While she changed her mind on her career path, she never stopped running and today, she’s surprised and pleased with her decade of progress. “I just try to go out and have fun and try to get some exercise in at the same time,” she said. “It was hard to run but it was an activity that became a bit easier for me. 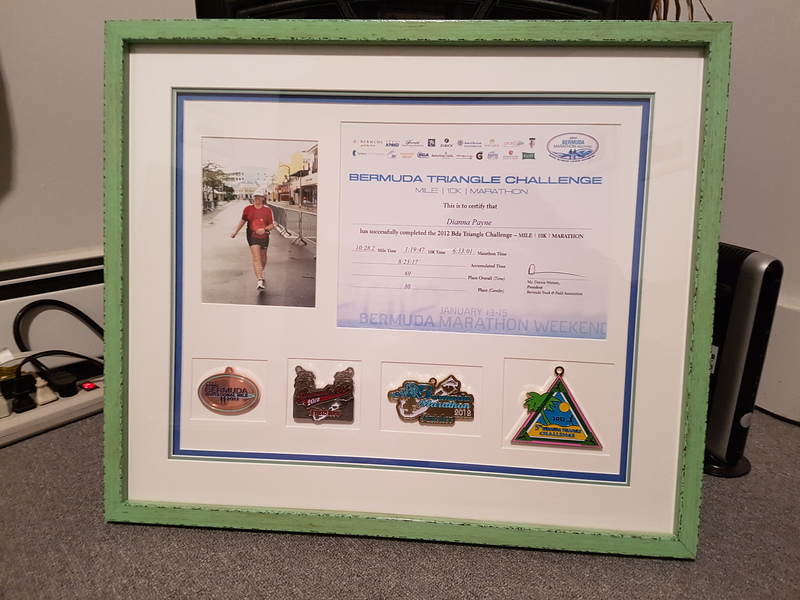 In 2011, she travelled with Brenda Guitard, Sherri Colvill-McCavour and Marta Kelly to complete a half marathon at Disneyland in California and then the next year, she was part of a New Brunswick group that raced the Bermuda Triangle Challenge. Dianna ran a full marathon and several other shorter races. At Disneyland, she decided to mark the occasion with a special Canada shirt she bought at the Running Room. 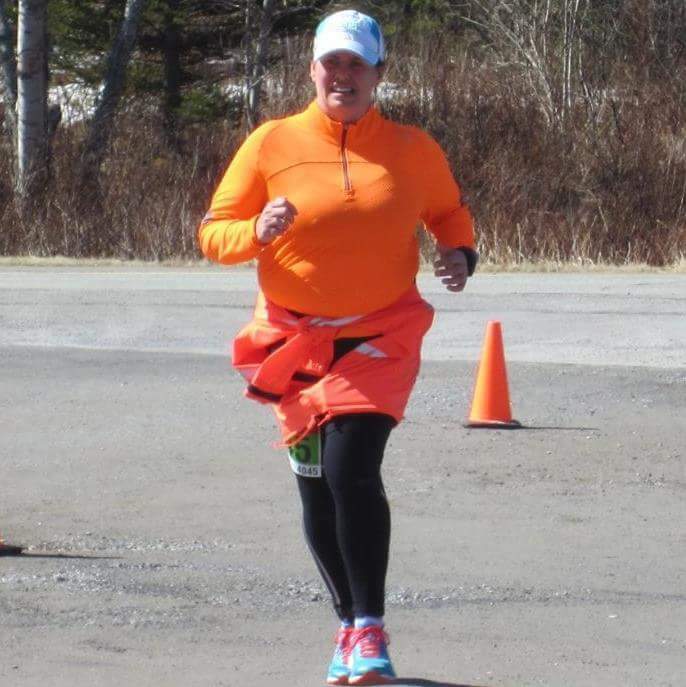 In August, Dianna is planning to compete in the Port City Challenge for MBTS, running the Into the Night 5km on Friday, the Middleton and Associates Harbour Passage 5 km on Saturday and the Running Room half marathon on Sunday. Last year, she ran the 5/5/10 and the previous year, she competed the 5/5/half components. It’s been a busy year already. 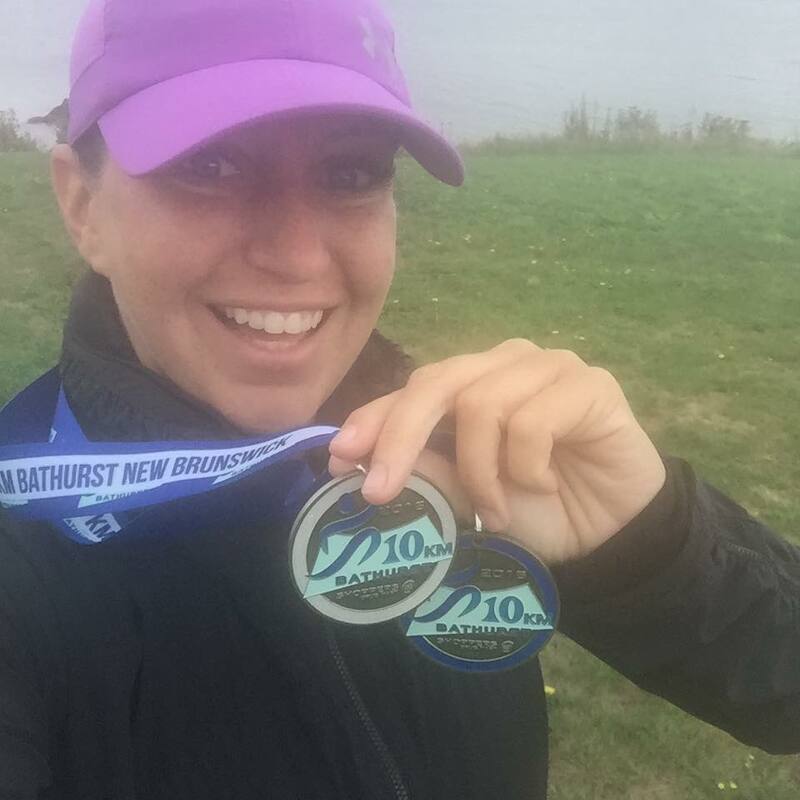 She ran the 10-kilometre distance at the Hypothermic half marathon, the Fredericton Half Marathon, the 5 km and the full events at the Blue Nose Marathon in Halifax and the half in Sussex’s Across Town for Crosswinds event. This weekend, she is headed to the Dartmouth 5k Sole Sisters Saturday and then will ride the bike as part of a team in the Hampton Ladies Triathlon Sunday. After that, she will race the half marathon as the Bay of Fundy International Marathon in Campobello and compete in the Tely 10 in Newfoundland before running in Saint John. But Brian and Katie Molloy have bonded while training, enjoyed the benefits from their efforts and even have their two children involved in 5-kilometre runs to prepare for this year’s event. It is worth considering it was just a few years ago when Katie, a physical education teacher at Valley Christian Academy, took up the sport and was joined shortly thereafter by Brian, the pastor at Cornerstone Baptist Church. “I struggle with depression and running was a great antidepressant for me,” said Katie, who grew up in Quispamsis. “It helps to clear my mind and refocus. Because of this, I wanted to make it permanent part of my life. Brian, a native of New York who has spent the past 15 years in New Brunswick, was a runner when he was younger but it stopped as he developed his career and started a family. However, when Katie got into it again, it was a signal to reignite his engine. See preview Running Whys story on Blair Bass. “I love that we do it as a family,” Katie said. While she started running more consistently two years ago, she began competing in races last year, in part because she was organizing a 5-km event for her school’s physical education program. For Brian, the physical benefits are important but like Katie, the mental clarity he gains during and after a run hits home, given his role at the church. “General physical health is usually the main motivating factor for the ‘why’ I run,” he said. “That being said, the reason I continue to run, even if I meet my physical goals, is because of the mental health is gives me. Running allows me to clear my mind and not give into the stresses of my job. Running allows me to rest and sleep better which in turn allows my mind to be sharper. Register for this year’s race. 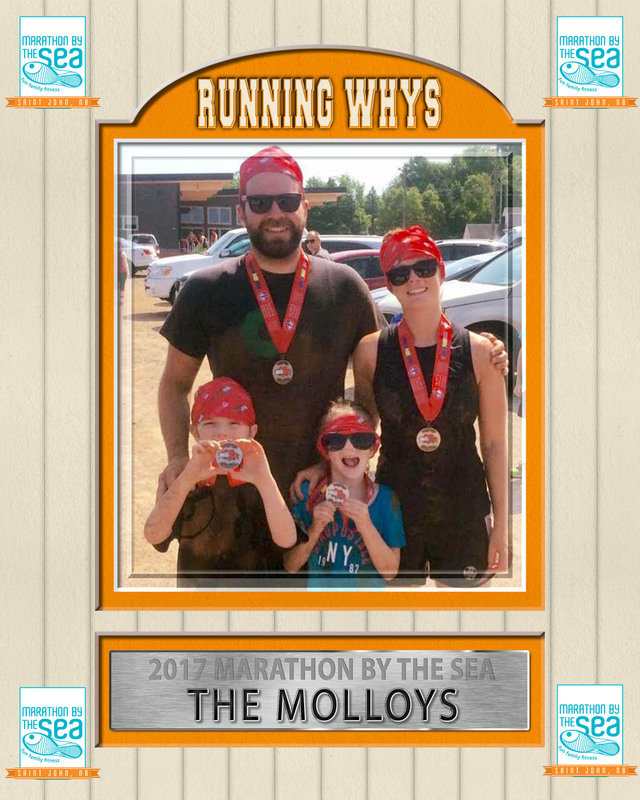 The Molloys were among the first to sign up for this year’s Marathon By The Sea and will compete in the Port City Challenge – the Into the Night 5km Friday, Aug 11, the Harbour Passage 5km Saturday, Aug. 12 and the half marathon on Sunday, Aug. 13. That 21.1 km distance once seemed so daunting for Katie, she’s wasn’t sure she’d be able to accomplish her goal. Getting out regularly has changed her thinking. “When I started running, the idea of running a half marathon seem impossible to me,” she said. 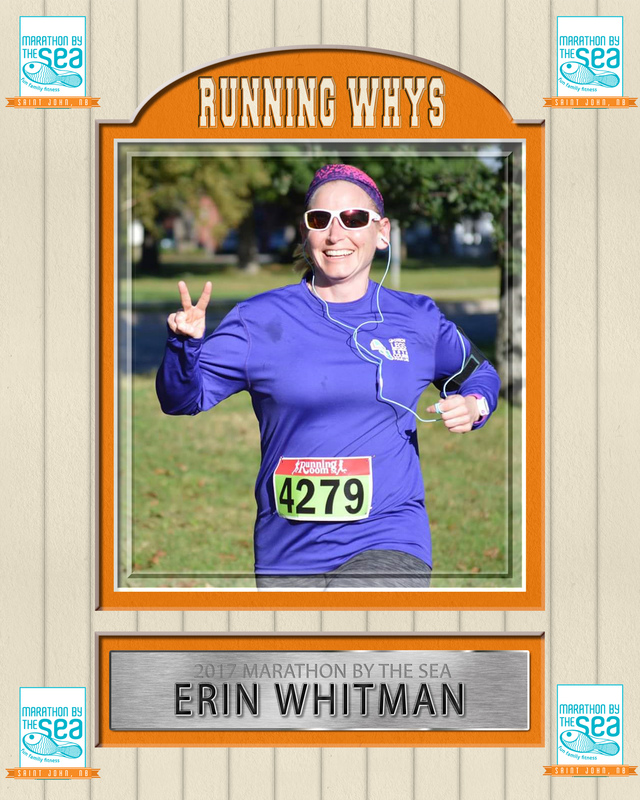 “However, I encourage my students to challenge themselves and I thought, ‘what kind of teacher would I be if I didn’t do the same?’ And so, after doing last summer’s Into the Night 5K for the Marathon by the Sea, Brian and I decided that this summer, we would do the Port City Challenge. Katie is not motivated by speed comparisons to others. Brian jokes that his main fitness goal is to remain alive after Marathon By The Sea ends but ultimately, wants to remain committed to running, long after race day ends. “I find it easy to get out of the rhythm, and I would like running to remain an aspect of my personal life along with me family,” he said. Several runs stick out for both Katie and Brian. For Katie, it was toughing it out through the heat at last year’s Canada Day 10 km event in Grand Bay-Westfield. There was another for her as well – the recent Valley Christian Academy’s 2nd Annual Fun Run 5K. 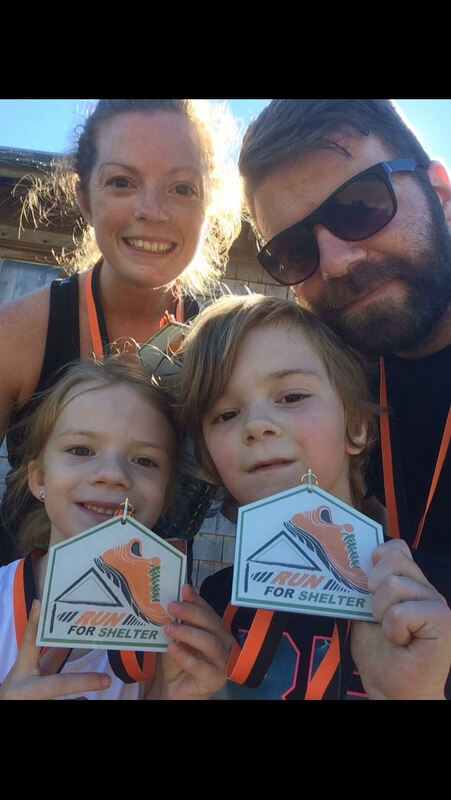 Another was the 2016 Outflow’s Run for Shelter because it was the first run they did as a family. Undoubtedly, a series of highlights will occur Aug 11-13 at Marathon By The Sea. 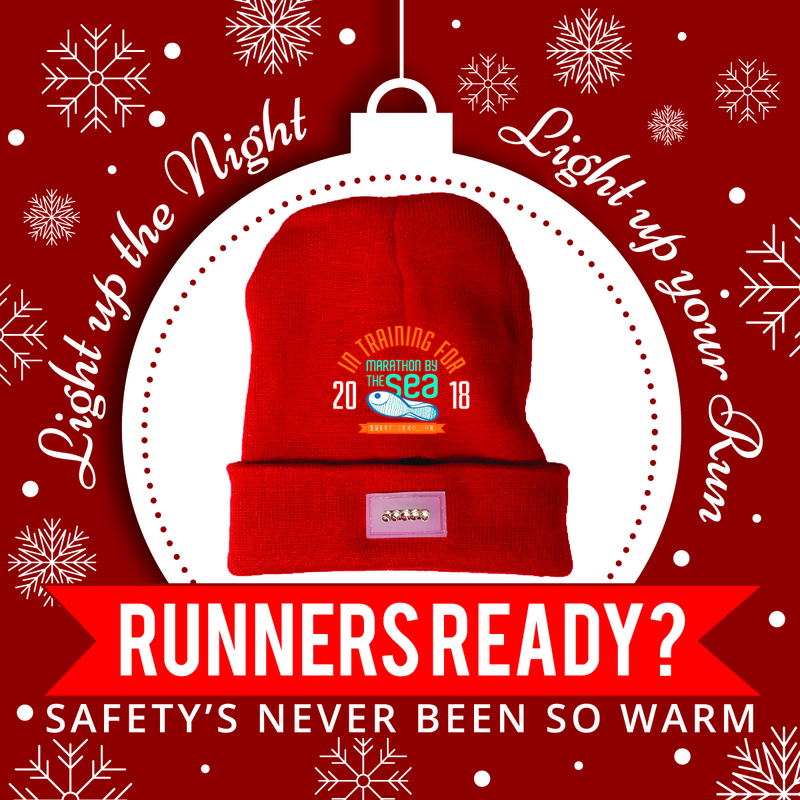 With others, running is powerful therapy in an escape from an internal darkness, a forum to invigorate their soul, a setting to flee from life’s challenges or a mental home in which to find important solutions. Blair Bass, a 32-year-old Saint John native, credits running for allowing him to deal with his own mental health issues and in many ways, has assisted a personal growth that’s led him to lose 60 pounds, go under 23 minutes in a 5-Km race and post a strong result in his first marathon. There are more important areas though. It’s been over a decade since he’s faced the darkest of days, when he contemplated suicide. He’s recovered – a credit to loving support from his family, education he gained en route to a pair of degrees and the works of many authors, who have enlightened and inspired him. He salutes the efforts of anyone who brings mental health issues into the forefront, including Olympian Clara Hughes and the Bell Let’s Talk campaign. 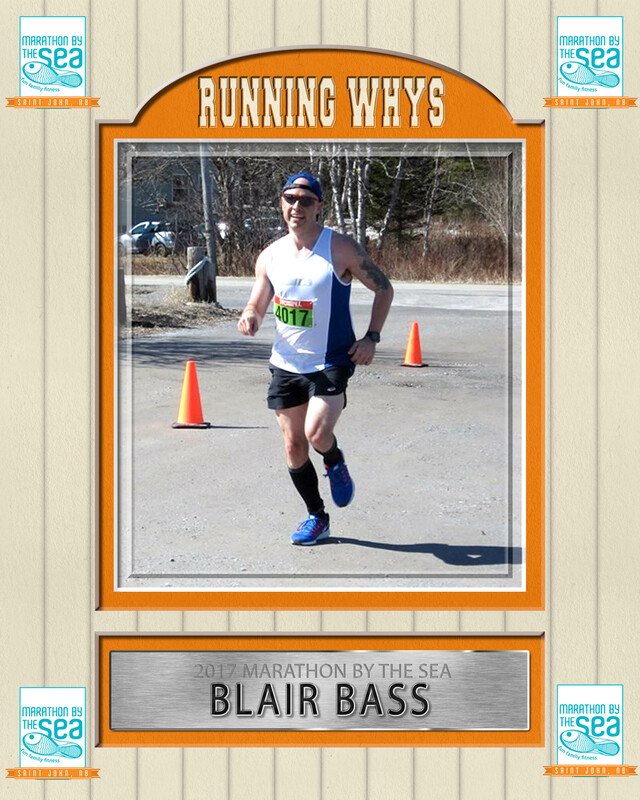 As we kick off the 2017 Running Whys for this year’s Emera Marathon By The Sea, Blair explains the long road to his own transformation and the treasured reasons why MBTS holds such a special place in his heart. He was always a runner (his grandfather was a national class miler) but he restarted in earnest with three laps at the indoor track at the YMCA in March of 2016. He progressed quickly and last summer, took on the challenge of the Into the Night run at MBTS, recording a remarkable time of 22:35 for 5-kilometres. He’s kept going and as lifelong asthma concerns lessened, he increased his training distances and times, recently clocking a 3:32:47 result at the Fredericton Marathon several weeks ago – a major bucket list item. 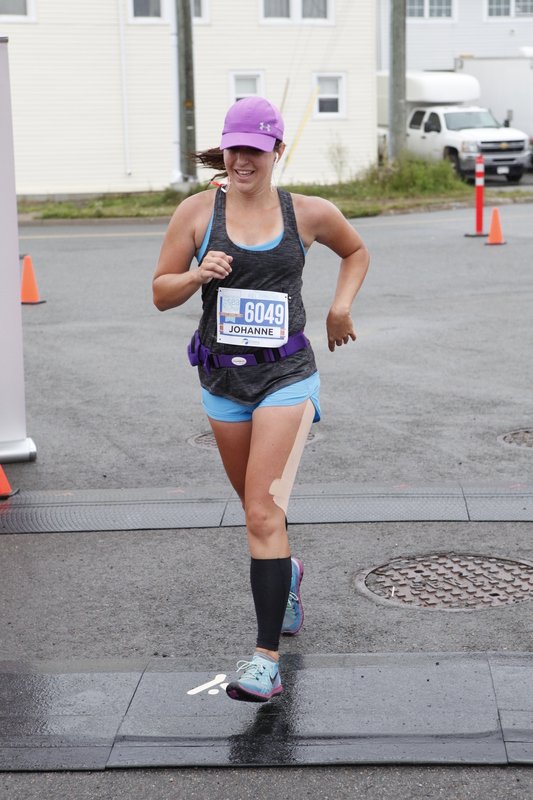 The 2017 Marathon By The Sea marks a special one year anniversary for Blair, who will run Into the Night 5K, the Harbour Passage 5k and the Quarter Marathon events on race weekend this Aug. 11-13. What follows is his open account of why those events are important to him. It’ a powerful and honest assessment of where he’s come from and where he is going. We hope you enjoy Blair’s account. As part of a series Running Whys, I was given eight interview questions. The focal point and most important question was just that: why do I run? To answer this question, I decided to get a little bit in depth. I have never been comfortable addressing my mental health issues in an open forum. I am offering a small insight into my thoughts on mental health issues, how I deal with them and dealing with the stigma attached. I am a 32-year-old male. I am a university graduate and generally productive member of society. Always a bit on the quiet side (at first), I am generally not one to open up about anything. Honestly, in addressing this topic of mental illness, however, I feel there are benefits. I have struggled with mental health issues for the last 14 years of my life. I quote this Shakespearean passage above to echo a familiarity with my situation: the acceptance of state of my mind, that perhaps only I can truly understand and address the healing of it, and, finally, that I have decided almost entirely that medication is not the route in which I want to address it. And thus, I answer the question at hand. This is why I run. It is my therapy. I started running for health reasons—mental and physical. 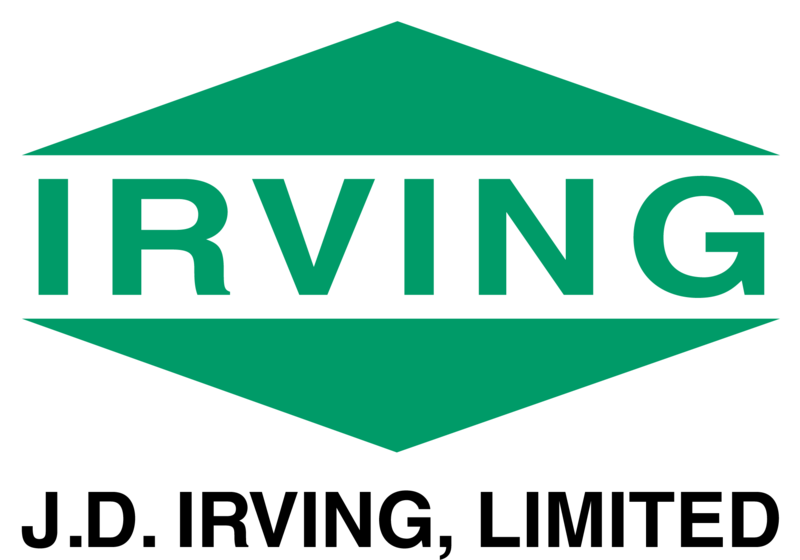 While a university student in Fredericton, I suffered a considerable setback in life. An underlying mental health issue had crept unto me and was eventually devastatingly exploited by my-then, unwavering curiosity about exploration of the mind and modes of consciousness. Functionality had become a problem. I moved home to my fully supportive parents and regrouped. I was lucky to have them at my side for over a year while I figured out how to get things back on track. I did. With the help of many, I got back to school and started my life again. Almost a decade later, I had decided that the cocktail of medication I was on had been a crutch long enough. Coming off was not easy. To cope, I found running to be my primary therapy. Hand in hand with mental health is taking care of my physical health. After coming home and addressing my mental-health issues, a combination of reduced exercise, non-mindful eating and medication side effects caused me to put on a good amount of weight. I am currently down about 60 pounds from my heaviest (including a period of about four months when I started running, where I lost over half of that chunk). I wasn’t sure where to fit this in but I want to make one thing clear – I am not on a crusade against pharmaceutical medication. It is simply not for me. I leaned on it, but for far too long. It robbed me of my personality as the quintessential “me” had disappeared. I am not completely un-medicated. I do not advise that this is what everyone should do. This is simply my story. My struggle is continuous but manageable. I run to both escape and face demons. It’s incredibly freeing in one sense. When I want to get lost in music and forget about life for a bit, I run. It can incredibly introspective in another sense. I use running as a time to contemplate and address my mental issues. There’s something about the act that allows me approach my mental health from a perspective that sedentary practices cannot provide. An allowance is made in which I can find myself at once the observer and the observed. Not always, but I do get insights into the workings of my thoughts, mental processes and the consequential effects in my day-to-day life. It is difficult to broach the subject of mental health. I hate labels so I will not mention any diagnosis or suspected conditions as per medical terms. I do not want to be labeled. I do not look for sympathy but simply an understanding that people do go through this. If I tried to put into words the mental states I have gone through, it would be impossible to ask most people to look at me without the natural prejudices of that ingrained stigmatization. I have a few special people in my life who are able to do that but, ultimately and unfortunately, I do not talk in a completely open forum about what I went through and go through. There is this stigma about being mentally unwell. But I’ve become okay with it. I get my bad days. They include the reminders of perhaps why I once, as a 20-year-old, seriously considered ending my life. I have been there. With a plan. I was convinced that I was a hindrance. In the moment, as I tried to weigh the options in my few moments of clarity (they were few and far between at that time, hence my hopelessness), I saw it as pure selflessness. Suicide: less a burden to the world; less a burden to myself; self-sacrifice for the better of all. Before I got to that point, I asked for help. Even in my clearest moments, I realized I was not thinking coherently. Thankfully I got that help. But I got to that point where I can understand the concept of suicide. The reminders of what set off this hellish odyssey are still there. My consciousness-driven curiosities are not satisfied. I read and study these ideas a lot. Perhaps not as much anymore, but the works of Huxley, Leary, Ram Dass, McKenna, Ginsberg (I could go on) still fascinate me. I’ve tried meditation. I have no intention of using drugs anymore. I applaud the work of Clara Hughes and campaigns like Bell’s Let’s Talk; I am happy that the stigma is being addressed. It has not been lifted. It never will be. Each year that it passes, I think of sharing my story in some way but always decide not to. When I was asked about this doing this article, I wanted to share and this is merely skimming the surface. A small insight into my condition and how I use running as an effective means to address it. 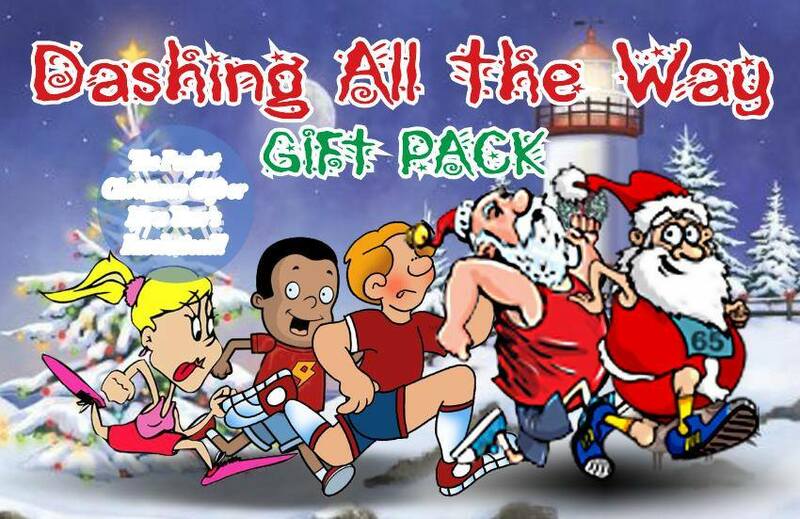 What started as a salute to the 20th running of Marathon By The Sea has continued on and now, as runners intensify training for the 2017 Emera Marathon By The Sea, we are ready to kick off our fourth year of the Running Whys. 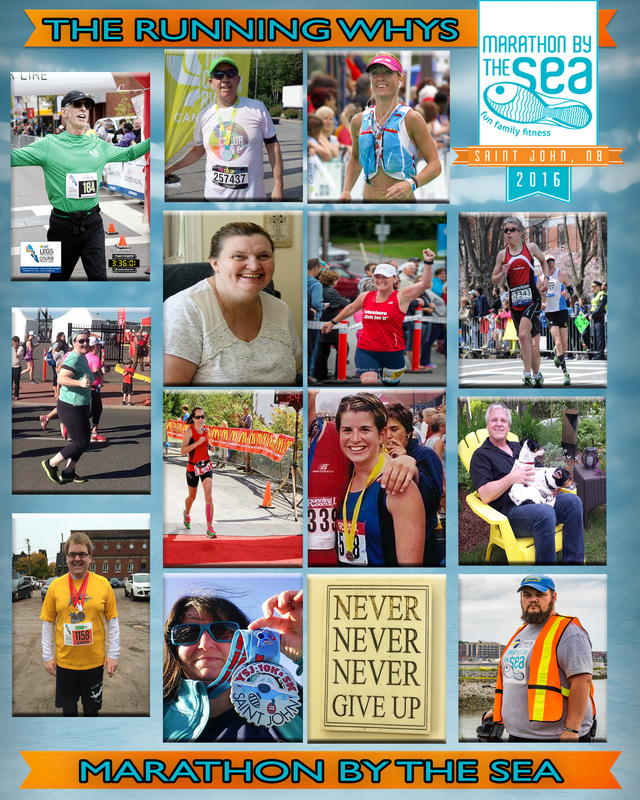 This series is a collection of stories from runners of all walks of life, all motivated to participate along with hundreds of others in the Port City’s annual marathon in August. Like the race weekend itself, we have undergone some changes but the focal point remains on you, the runner, whose dedication to training for whatever distance, provides inspiration for many in the buildup to MBTS. In the first three seasons, we’ve featured runners who took their first racing strides in this event, beginning with 5 km routes. We have also profiled those who clock times under three hours for the full marathon. And we’ve featured everyone in between. The diversity in motivation ranges from those trying to maintain fitness levels to those wanting to get into shape and others looking to hit a goal in celebration of a significant birthday. Along the way, these poignant and raw accounts provide a glimpse at what motivates runners and what the sports means to many who were brave to take that very first stride – whether it was last week or 50 years ago. Each motivation, each story, provides unique perspective for Marathon By The Sea participants. This year, the lineup is equally as impressive. The 2017 series will start later this week and be featured on the MBTS website and Facebook pages. It will continue with regular updates right up to the race weekend and conclude with recaps of those athletes we featured along the way in a final season-ending story. 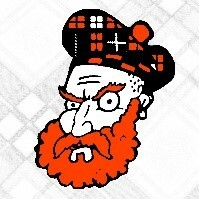 While we are just beginning and we have many profiles all set to go, please pass on the names of other participants (to kevinbarrett16@gmail.com) who you think have a great story that others in this great race may enjoy. We hope you like what we have to offer. Two others detailed their reasons for volunteering at Marathon By The Sea.